Apex Legends, the Titanfall Battle Royale Game Coming to Android/iOS. Apex Legends is a brand new battle royale game by EA and Respawn Entertainment, the folks behind the Titanfall franchise. It's recently launched for PC, PS4 and Xbox One but EA is talking about the mobile version. Apex Legends Coming soon to mobile with cross platform support. It will feature cross platform play. That means you can play with your friends no matter the device they are playing on. We will collect more information about these game and publish on our website. One thing guys, game is not launched yet but fake version is already available. some website posted that it's available for Pre-register, but it's not available so beware of this. 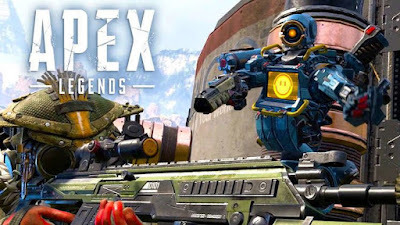 Don't register for Apex legends from any website, when game is available we will inform you and provide right link to download or pre-register.